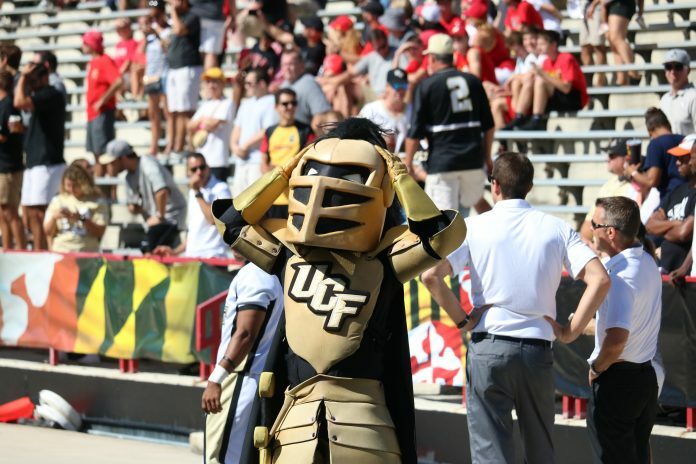 One of only 13 undefeated teams remaining in the FBS, UCF will enter week seven ranked No. 21vby the USA Today Amway Coaches’ Poll. The Knights climbed from unranked to the bottom of the elite tier last week at No. 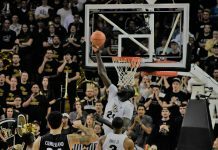 25, and have made the jump four spots in the aftermath of a lightning-hastened, three-quarter, 51-23 thrashing on the Cincinnati Bearcats. McKenzie Milton has led UCF’s offense to 47.5 points per game – tops in the country. The defense is ranked atop the American Athletic Conference in scoring after surrendering 23 to the Bearcats in the shortened game, sitting at 15.8 points per game. 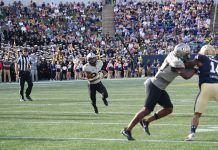 The American Athletic Conference can now lay claim to three teams ranked in the Coaches’ Poll, with Navy jumping up to No. 24 join No. 21 UCF and No. 15 USF.